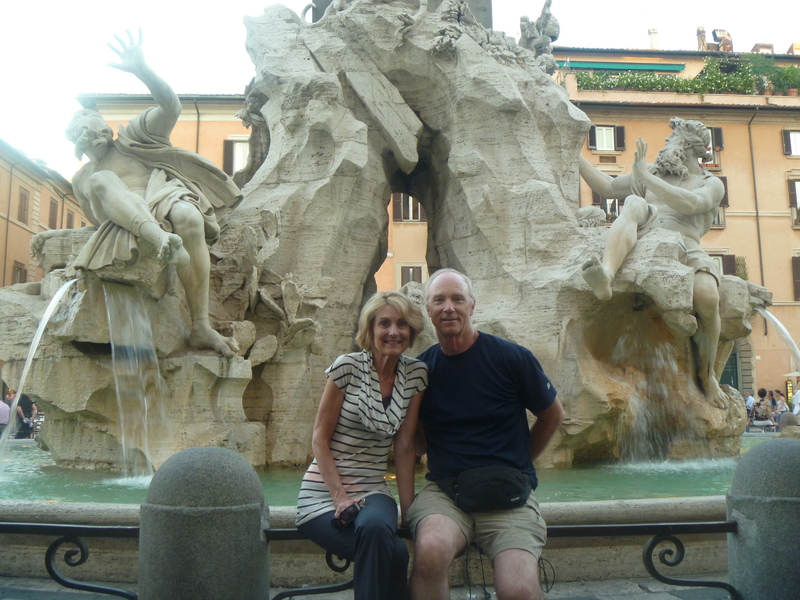 The Piazza Navona is truly a carnivale of life. 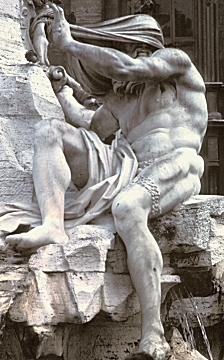 With a reputation of being one of Rome’s liveliest piazze, it constantly commands a large audience of locals and tourists. Restaurants with covered outdoor tables encircle the piazza offering diners a comfortable place to enjoy entertainment by street performers, impeccably dressed Italians, and Bernini’s three beautiful fountains. 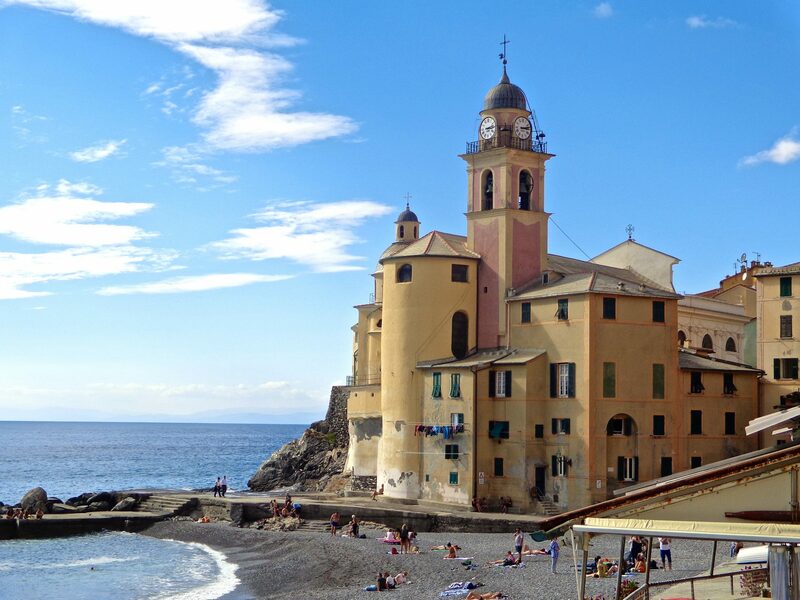 Whenever I spend time in Italy, I’ve found that the experience means so much more if I have a little background history about those places I plan to visit. My first walk through the Piazza Navona was exciting, but I wish I had delved a bit into the historical background beforehand. That being said, I encourage you do a little research of your own and make your experience so much more rewarding. Let me share a little bit of what I’ve learned…. 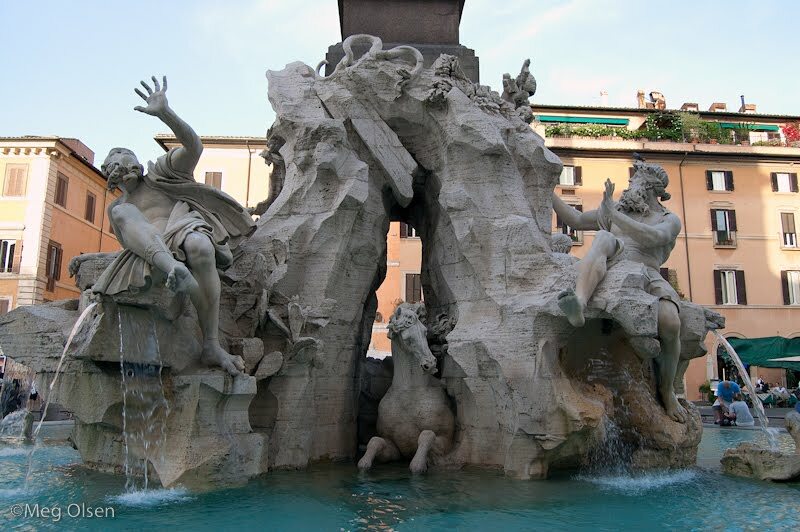 The Fountain of the Four Rivers, designed by Bernini in 1648, is my favorite. Water gushes up out of rocks forming an aqua blue pool at the basin while the four continents, or river gods, hang on and ride the waves. They are The Danube (Europe), The Ganges (Asia), The Nile (Africa), and The Rio de la Plata (The Americas). Each river-god contains a symbolic item. The Rio de la Plata above sits on a pile of coins which represents the riches America could offer Europe. The Nile river-god covers his head, representing the idea that no one knew where the Nile originated at that time. The Ganges, above, holds a long oar that represents the river’s navigability. And finally, the Danube, to the left, holds the pope’s personal coat of arms since it is the largest river closest to Rome. A surprising detail concerning the creation of the fountain in 1646 was that Pope Innocent X had it built at the public’s expense. It took place during the years of a terrible famine in Rome so, naturally, the people threatened to riot. Notes of despair were found on the monument expressing anger with the words, “we do not want Obelisks and Fountains, it is bread that we want.” However, the pope chased the rebel-rousers out along with the market, which was moved to the Campo di Fiore. 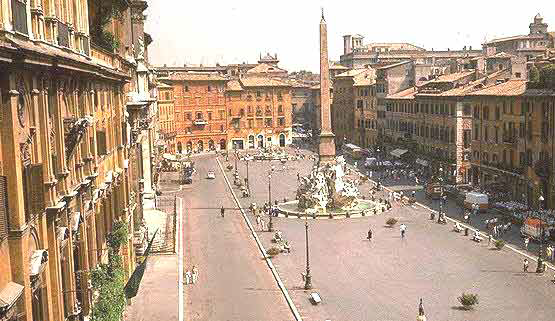 The oval-shaped Piazza Navona was built on former emperor Domitian’s stadium in 86 AD. Paved over in the 15th century, remains can still be seen of the stadium under the piazza. Through the construction of this fountain the pope intended to proclaim the churches influence on the four continents to be very strong, spreading to all four corners of the Earth. 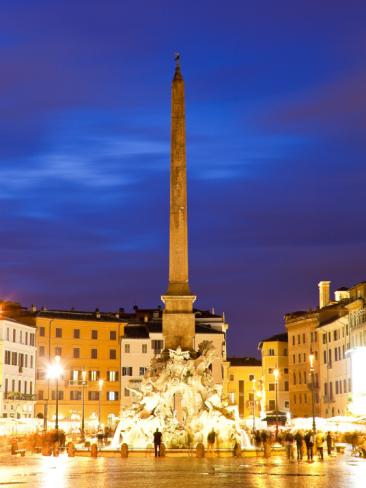 If you find yourself in Rome, it’s highly likely you’ll find your way to Piazza Navona. Stand back and marvel at the dramatic beauty of the fountain and recall to mind not only the historical implications, but also the hardships it required of the people of Rome. I was fortunate enough to be on a small blogger walking tour with a local guide and they shared much of the historical detail but it’s always good to hear it again! Thank you! My pleasure as always…thanks for the input Victoria. A really beautiful fountain! 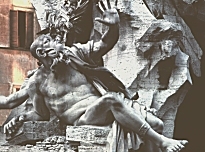 Of course, I know the truth about the statue of the NIle River, but I’ve always kind of liked the “story” that Bernini covered the river’s face so it would not have to look at the Borromini church on the Piazza. I will be seeing this a month from tomorrow. Can’t wait! Always on the agenda when in Roma. So many things to see on and off this ancient campo. Love your advice Susan. I am going to follow it up more! Thanks Lyn…doing research makes a huge difference. Great Post! Thank you for all of the helpful and informative posts. Rose thank you for all your encouragement! It really means a lot…love ya! !